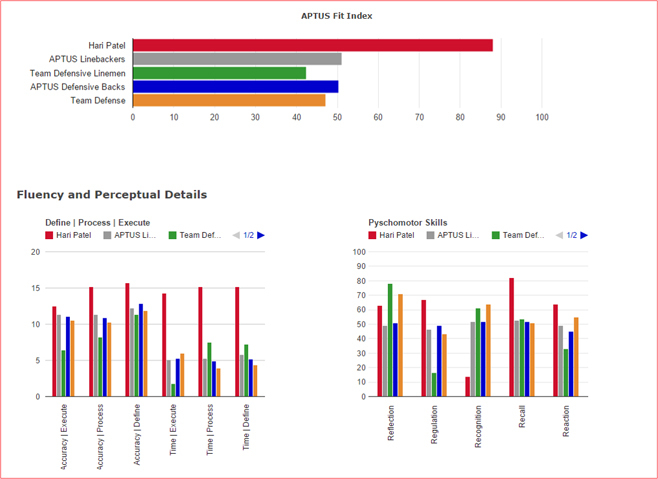 APTUS Analytics is a set of customized dashboards and visualizations that enable you to rank and compare Assessment results by various measurements. 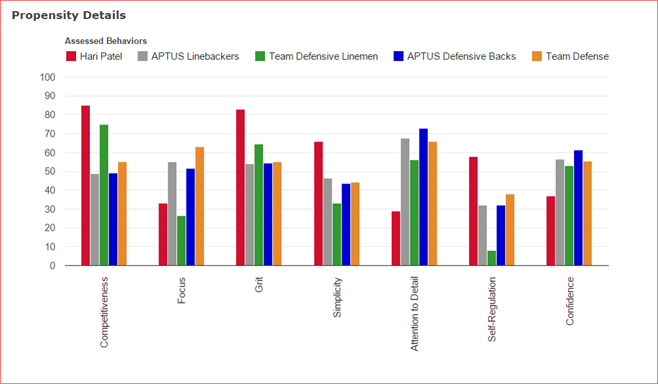 APTUS Analytics gives the user the ability to evaluate large data sets and prioritize weightings to create an individualized APTUS FIT Index (AFI). The AFI is an index score of measurements from the Assessment. Having a database repository of 65 perceptual, cognitive, and behavioral attributes provides quick and easy access to how efficiently and accurately team members Define, Process and Execute instructions and information. 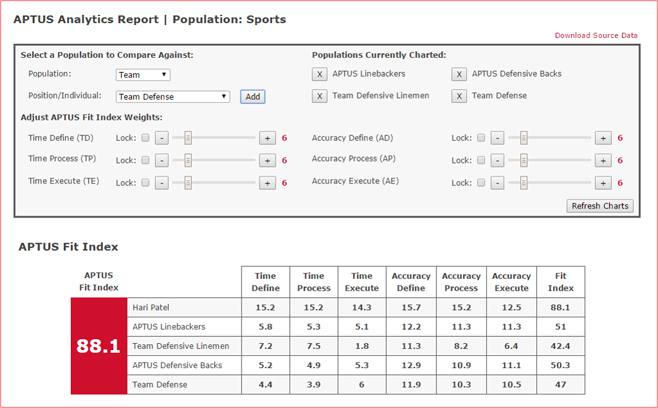 APTUS Analytics allows a user to quickly determine how one Defines, Processes and Executes compared to their department/team and/or their organization as well as the APTUS universe.